If you’re looking to sell your house in Santa Clara, California… then read how we buy houses hassle-free. Selling a property is a hassle. No matter what kind of market it’s in, there are certain tasks and outcomes that don’t help some situations. you’re approaching foreclosure and you don’t want to deal with the hassle of greedy banks, deceptive agents, annoying buyers, and pesky inspectors. You have a house with cumbersome tenants and you just want to dump the damaged property on someone else for them to handle the hassles of California tenants. You’ve had your house for 20 years and it needs $25,000 of repairs to get it to a sellable condition…. fortunately, you can sell your house as-is today. You need cash and time to buy your next home, but you don’t want to go through the hassles of listing it and hoping to find another house that accepts your contingent offer… with us, you can sell your house for cash in 7 days, AND stay in the home until you find another place. Regardless of the situation, if you need to sell your property in Santa Clara then you can relax and enjoy a fast and easy process and in 7 days celebrate with your cash at the Mio Vicino Neighborhood Restaurant! You don’t have to wait, risk, and pay thousands of dollars up front only to deal with the hassles of the market. There’s a direct house buyer who has been in the business of buying houses in California since 2003 and has made hundreds of sellers happy. 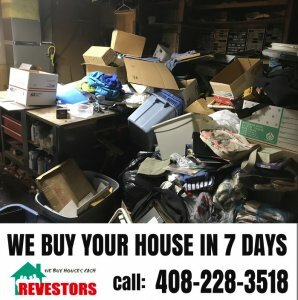 Contact REVestors LLC today for a hassle-free solution. We aren’t just any home buyer in Santa Clara. You can rely on a real cash buyer to help solve your situation. You get a real cash offer…. unlike many investors that have no money and will go back to you to renegotiate. You can sell your house in whatever shape it’s in. You can sell your Santa Clara house in whatever time frame you’re facing… after selling your house, you can even stay in it for 2 months to help you with the moving process. You can leave all your unwanted belongings behind. You can get your credit back in tact if you’re behind in payments…. or get a check every month for selling your house. You won’t pay a dime out of pocket. You won’t pay a dime in fees… we perform on our word in an ethical manner. Unlike many investors out there that can do whatever ever they want. 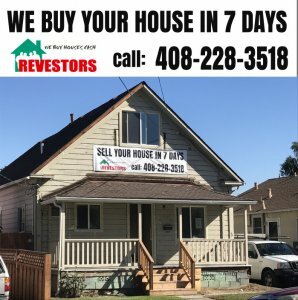 If you’re trying to avoid the hassle of selling with a real estate agent and need to get rid of the problem now… then contact REVestors LLC, (408) 228-3518, to get your free solution and your fair no-obligation offer. But… this service isn’t for everyone. Again, we aren’t looking to list your house, we only buy it, we understand that some are better off with listing it. If that’s the case then we’ll tell you that right off the bat on the phone. Or fill out the simple form below with your name and email and we’ll get back to you ASAP. But…please hurry. The unfortunate thing about using only our own money is that we only have available cash for so many houses. So get your guaranteed offer today. A real cash offer to sell your home, quickly in 5 days! We help property owners just like you, in all kinds of situations. From divorce, foreclosure, the death of a family member, burdensome rental property, and all kinds of other situations. We buy houses in Santa Clara, California and surrounding areas and pay a fair cash price, fast. Sometimes, those who own property simply have lives that are too busy to take the time to do all of the things that typically need to be done to prepare a house to sell on the market… if that describes you and you’re saying, “I’m tired of dealing with it and just need to sell my house fast in Santa Clara, California“, just let us know about the property you’d like to be rid of and sell your house fast for cash. Buying an Investment Property in Santa Clara Can Be Scary. Know These 6 Facts First.